Based in part on Kenneth Grahame’s 1898 short story of the same name, Disney’s The Reluctant Dragon was theatrically released on June 20, 1941. The live action-animation hybrid, which uses a tour of Disney’s newly-opened studio complex in Burbank, California as a thread between disparate animated segments, is seventy-four minutes in length. 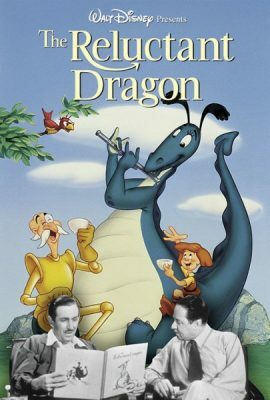 The Reluctant Dragon’s plot is an excuse to justify the studio tour and related cartoons: humorist Robert Benchley, portraying himself, is forced by his wife (Nana Bryant) to bring their nephew’s copy of The Reluctant Dragon to the Disney Studio to convince Walt Disney to use said story in a future film project. After Mrs. Benchley drops her husband off at the studio gate, Mr. Benchley wanders around Disney’s Burbank campus while trying to elude a pesky tour guide, Humphrey (Buddy Pepper). Benchley’s persona and the contents of the cartoon segments facilitate an often-hilarious, if not especially creative, effort. In addition to great animators, The Reluctant Dragon also features great voice actors, most notably Clarence Nash, the voice of Donald Duck, and Florence Gill, the voice of Clara Cluck. 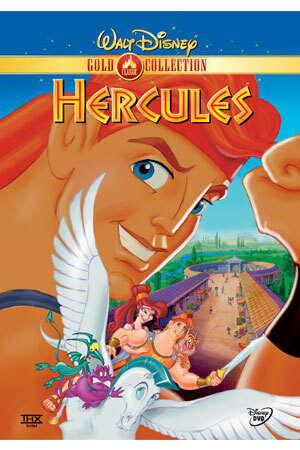 Nash was named a Disney Legend in 1993. The Reluctant Dragon incorporates five animated shorts: “Casey Jr.,” “Farmer Donald Duck,” “Baby Weems,” “How to Ride a Horse,” and “The Reluctant Dragon.” The first two of these efforts work well to demonstrate aspects of the animation process but are otherwise unremarkable; the last three shorts are excellent in terms of story, character, and humor. The Casey Jr. short is a brief segment starring the circus train from Dumbo in the studio’s sound lab. Here, Benchley and viewers at home learn how sound effects, including the “Casey Jr.” tune, a conductor’s voice, train chugging, steam emissions, bubbling water, noises uttered by animals, inclement weather, and a collapsing bridge, are added to cartoons. The Donald Duck short uses farmer Donald to demonstrate how animated characters achieve motion. The “Baby Weems” short tells a humorous tale about a remarkable, talking, baby. As this segment is based off a storyboard, the cartoon lacks final color and movement, but the effort is uproarious. Along the way, the baby corrects one of Albert Einstein’s theories, is awarded numerous honorary degrees, starts new fashion and sleeping trends, presents his own composition at New York’s Carnegie Hall, and is recommended by Franklin Roosevelt as the greatest hope for solving the country’s problems. Although Baby Weems falls seriously ill immediately prior to his scheduled radio appearance to offer crucial advice to his fellow Americans, he miraculously recovers and indeed offers some insights: “goo-goo, gah-gah!” Uh, oh; the fever killed the fad, though not the child. 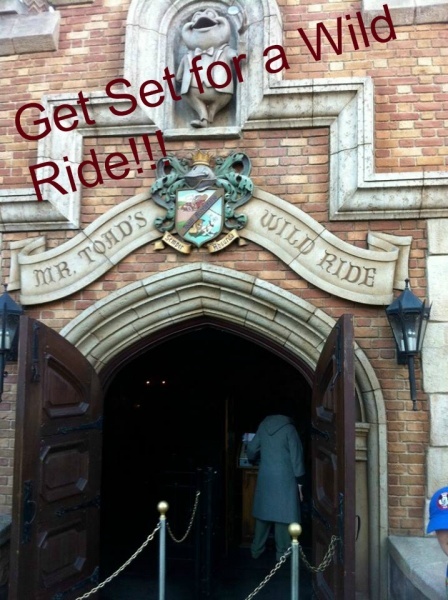 “How to Ride a Horse” is one of Disney’s typically humorous Goofy cartoons, though I prefer its counterpart, “El Gaucho Goofy,” from Saludos Amigos because that short reminds me how to do something important in my everyday life, namely how to eat a tough steak: “A one, a two, a bite, cut, chew!” In any event, in “How to Ride a Horse,” Goofy forgets to remove the price tag from his riding coat, the narrator insults the steed following a grandiose introduction, Goofy struggles to offer the horse a carrot, the narrator offers a crucial dissertation on the “right” and wrong sides from which to mount a horse, and the short’s motion and direction are altered to show a distorted perspective on horseback riding. 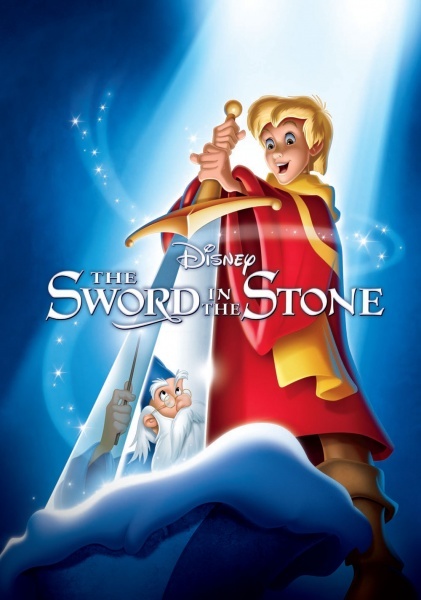 The film’s title short runs for the final twenty or so minutes of the overall package, developing an ironic relationship as it progresses: a curious young boy teaches a timid dragon, one who prefers poetry and classical music to destruction, how to be tough and defend himself against an aroused human village. Like the Baby Weems and Goofy shorts, this effort will make you laugh. “The Wind in the Willows” portion of The Adventures of Ichabod and Mr. Toad (1949) was also based on a story by Kenneth Grahame. A Goofy short was also included in Saludos Amigos. Donald Duck was also featured in Saludos Amigos, The Three Caballeros, Melody Time (1948), and Fantasia 2000 (1999). Dragons were also included in Sleeping Beauty (1959) and Pete’s Dragon (1977, 2016). Guests of all ages can fly aboard Dumbo on the “Dumbo the Flying Elephant” attractions at Walt Disney World’s Magic Kingdom and the Disneyland parks in California, Tokyo, Paris, Hong Kong, and Shanghai. Guests can view real elephants on the “Kilimanjaro Safaris” attraction at the Animal Kingdom. Casey Jr. is the star of the “Casey Jr. Circus Train” attractions at the Disneyland parks in California and Paris, and of the “Casey Jr. Splash ‘n’ Soak Station” at the Magic Kingdom. Animation classes are offered in the “Animation Academy” attractions at Disney California Adventure, Walt Disney Studios Park Paris, and Hong Kong Disneyland Park; the “Disney Drawing Class” at Tokyo Disneyland Park; and the “Marvel Comic Academy” at Shanghai Disneyland Park. Donald is the protagonist of the “Mickey’s PhilharMagic” 3-D shows at the Magic Kingdom and the Disneyland Parks in Tokyo, Paris, and Hong Kong. 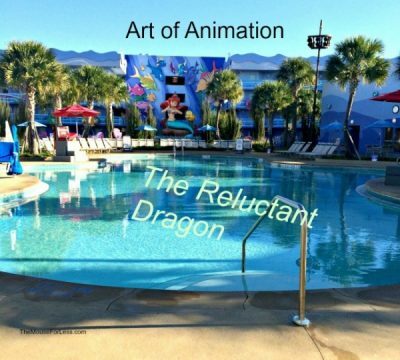 Animation is the theme of the “Art of Animation Resort” at Walt Disney World. Animation is the theme of the “Animator’s Palate” restaurant on Disney Cruise Line. As was the case in The Reluctant Dragon, the versions of Animator’s Palate on the Disney Magic and the Disney Wonder include a change from black-and-white to color. Though far from Disney’s most creative movie, The Reluctant Dragon is both entertaining and a great historical piece, showcasing some of the studio’s general procedures, productions, and talent. Disney history buffs, in particular, should make a point to watch The Reluctant Dragon. 1) Dave Smith, “Ask Dave,” D23, accessed October 5, 2018, https://d23.com/ask-dave/andrew-nissequogue-new-york-2/. 2) Steven Watts, The Magic Kingdom: Walt Disney and the American Way of Life (Columbia, Mo. : University of Missouri Press, 1997), 266-73. 5) Ibid., 259; Dave Smith, Disney Trivia from the Vault: Secrets Revealed and Questions Answered (New York: Disney Editions, 2012), 137. 6) Watts, Walt Disney and the American Way of Life, 64-65. 11) “Disney Film Picketed: California Strike Brings Action by Sympathizers Here,” New York Times, July 25, 1941, Amusements-Books sec., accessed October 6, 2018, New York Times Historical (1851-2010). 12) Watts, Walt Disney and the American Way of Life, 220-27. What do you think of The Reluctant Dragon? Let me know in the comments! Sponsored Ad: Would you like to help support The Mouse For Less website in continuing their mission of being THE Disney vacation planning resource? You can do so by purchasing The Reluctant Dragon from our Affiliate Link through Amazon. Thanks so much for your support!